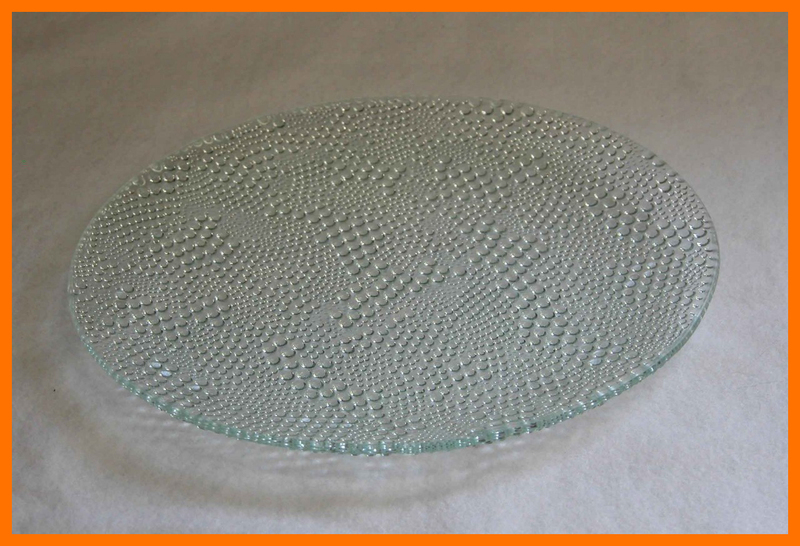 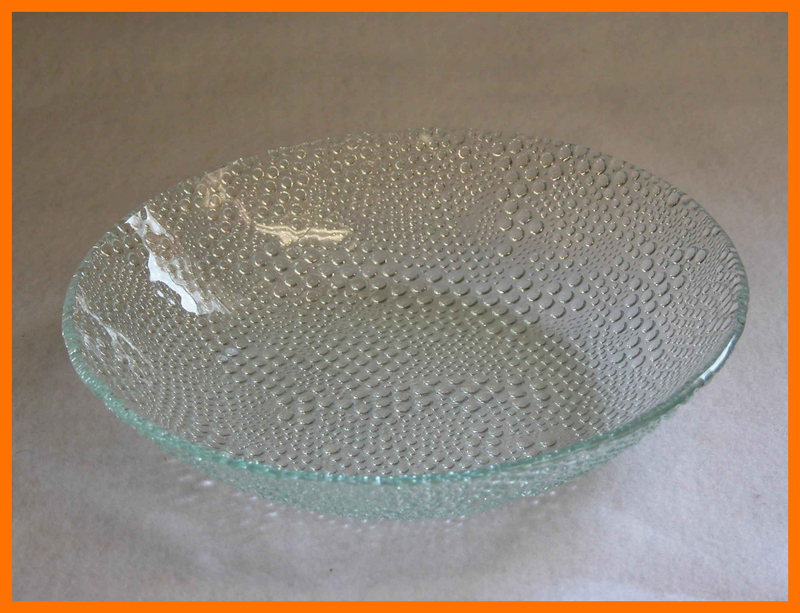 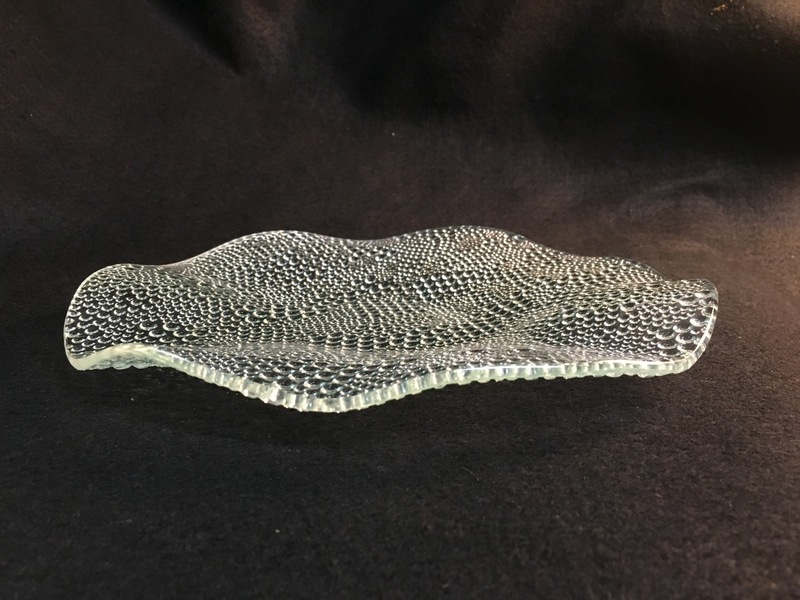 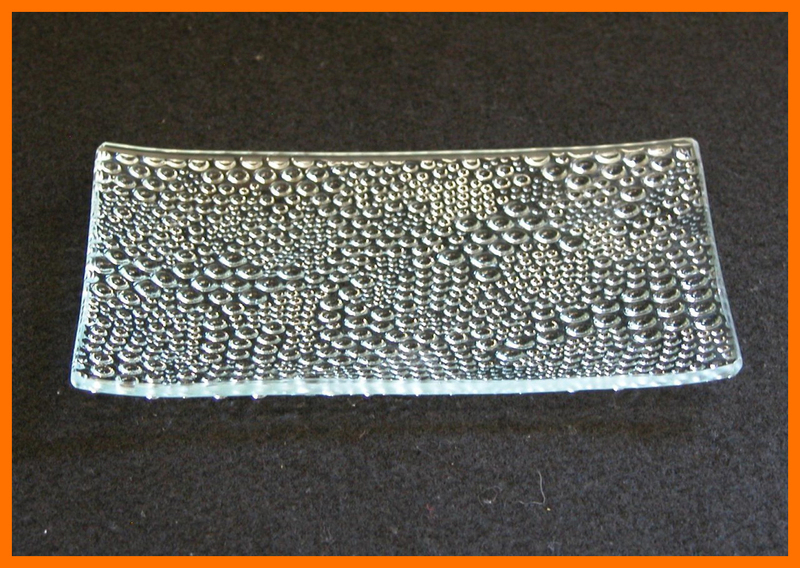 A textured glass plate with a delicate fused raindrop design. 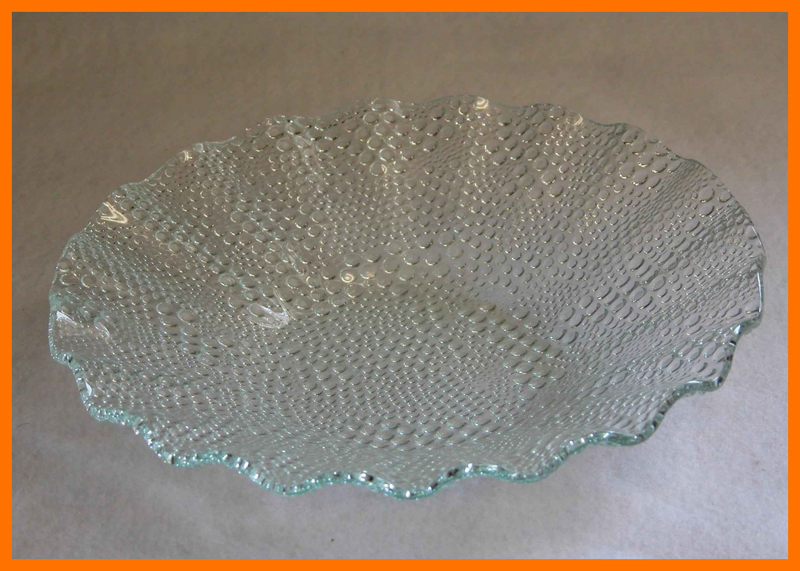 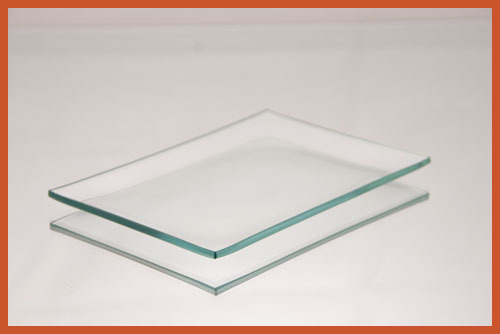 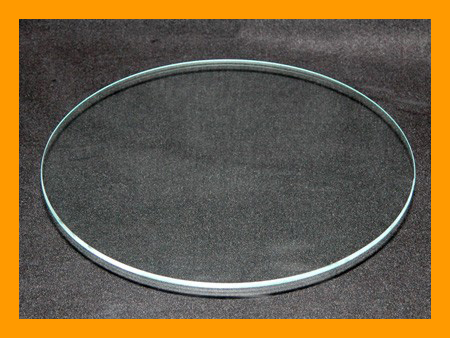 Approximate plate size: 4 1/2” x 6 1/2” x 1/2" deep. 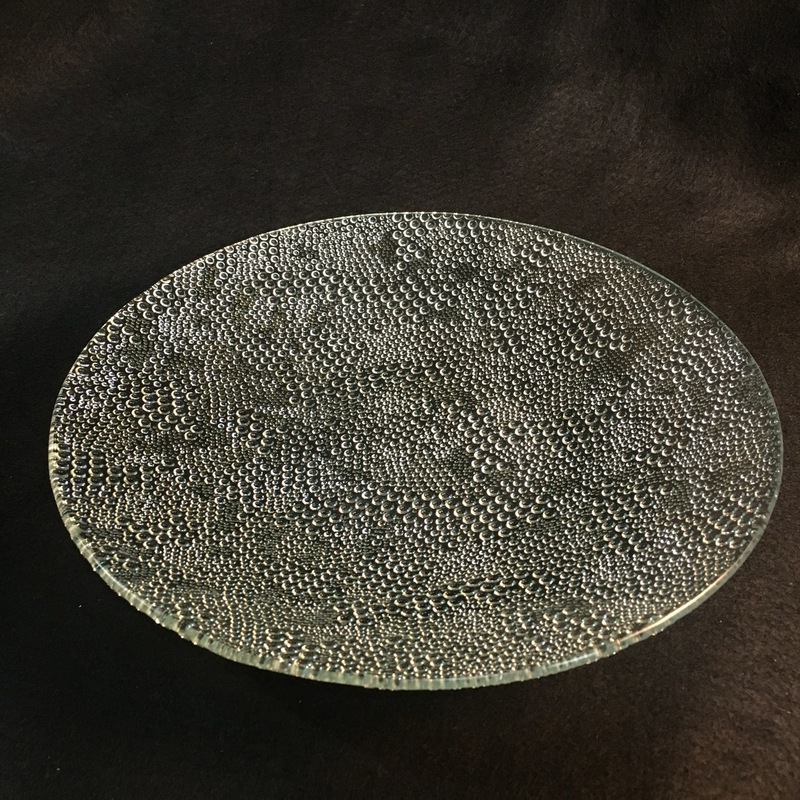 Approximate base: 2 1/4" x 4"
The rain drop texture is on the bottom side of the plate. 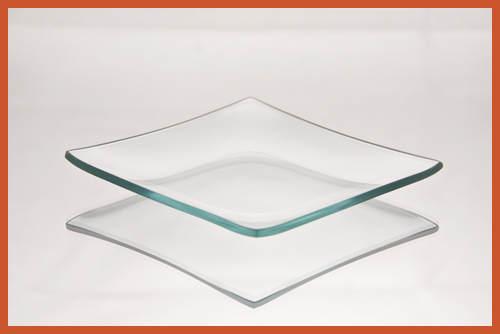 A smooth and silky looking eating surface on the top. 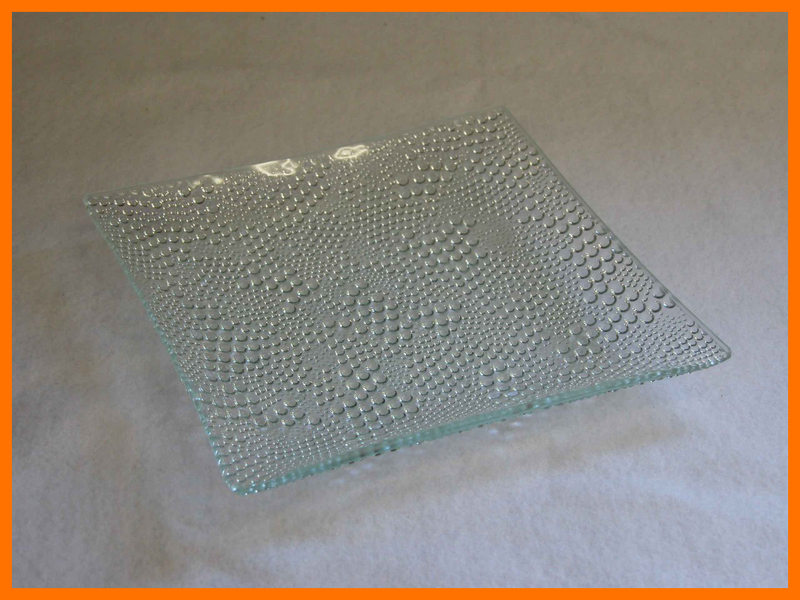 This stylish plate will enhance your table and serving needs, it will also be a nice addition to your dresser or desk.